As a home to hipsters and an area for artists, Brooklyn has definitely claimed its spot on the map. But how, exactly, are you supposed to know that you’re at a Brooklyn wedding? Well, Loverlies, there are few key details that are dead giveaways that you’re at a big day in the BK. We’ve rounded up those tell-tale signs for you so that you’ll never have to wonder again. 1. 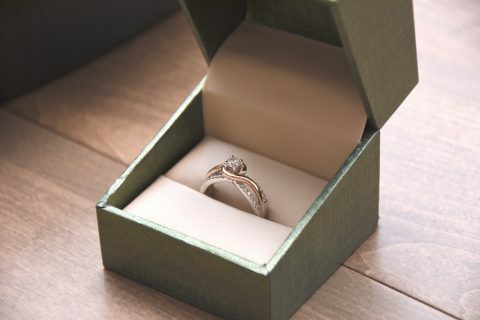 The wedding rings are handmade. If there’s one thing Brooklynites are known for, it’s that they do things their way. So take a quick look at the rings the bride and groom are rocking — if they’re from LiloVeve, a jewelry-making studio, then you’ll know that you’re witnessing love in the heart of Brooklyn. Chances are the couple either made those bad boys by hand or foraged to find the perfectly rare ring. 2. 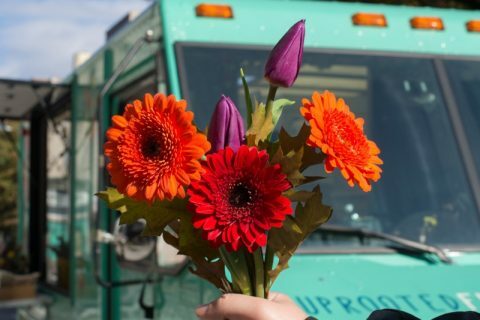 Forget food trucks — they’ve got flower trucks. A Brooklyn wedding is all about the one-of-a-kind entertainment. So skip the expected and bring in the Uprooted Flower Truck. They’re a team of mobile florists that bring your beautiful blooms to life on your big day in the form of a boutonniere, bouquet, and flower crown bar. So round up the guests and get your flower power on! 3. There’s a cover band (with an ironic name) rocking the reception. Like Mixtape, a Brooklyn-based cover band that wants to rock for you. This super rad wedding band is anything but cookie-cutter; they’ll play everything from Arcade Fire to Wilco with a few 80s and 90s hits mixed right in. 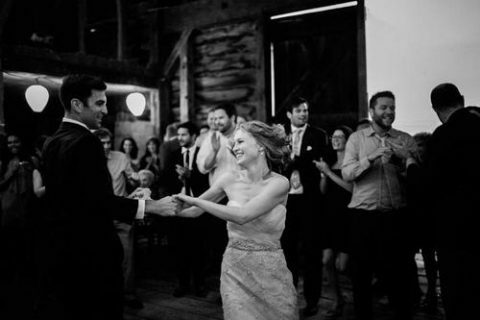 So if you’re invited to Brooklyn for a wedding, bring your dancing moves. 4. The dinner menu features fancy fried chicken and homemade waffles. 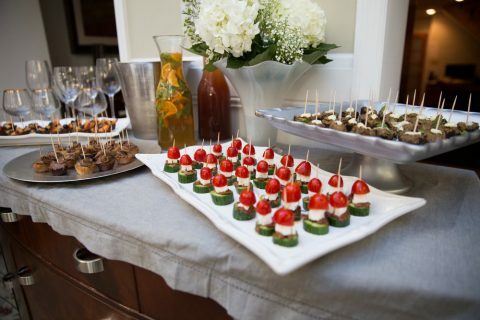 Food is a very important part of a Brooklyn wedding, so expect to see some delicious and totally untraditional edible offerings. 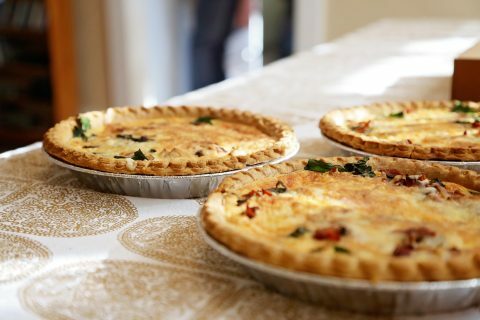 Legendary fried chicken and pie caterer Pies n’ Thighs is definitely a go-to for to-be-weds because of their crispy chicken, wonderful waffles, and buttery biscuits. And don’t expect to see that three-tiered cake at a BK wedding — pies of all shapes and sizes (banana cream! rhubarb! s’mores!) make the perfect ending to a night of celebration. 5. The photo booth’s been replaced by a drawing booth. What’s a Brooklyn bride to do when a photo booth just won’t do? Bring on the NY Drawing Booth, of course! The artists will show up to your venue ready draw all your guests’ pretty portraits on a totally hip iPad in just 2 minutes. 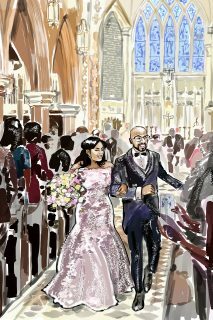 To add a spontaneous edge to your reception, have the talented artists mingle with your nearest and dearest. 6. The beauty team brought brunch for the bridal party. Your hair and makeup artist have a serious job to do: making you look your big day best. But that doesn’t mean they can’t be fun to have around! When Lip Service NYC are involved, they bring along brunch and mimosas for the bridal party to enjoy as they get their beauty on. Brooklynites LOVE their brunch. 7. The welcome bags are locally-sourced. Brooklynites are beyond proud of their Brooklyn heritage, and they’re not afraid to show it. 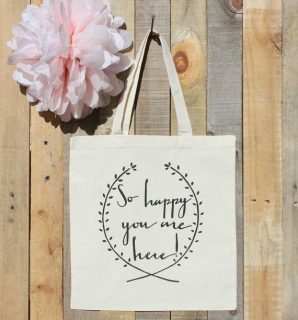 When you walk into your hotel room, you’re obviously going to see a tote bag filled with fab food, fun goodies, and favors from By Brooklyn, a local boutique selling all things Brooklyn-made. 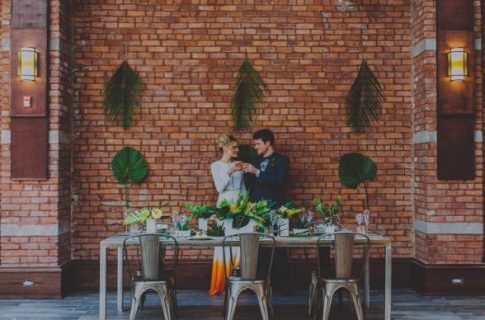 Find out more about the Toasted Brooklyn Wedding Event here!